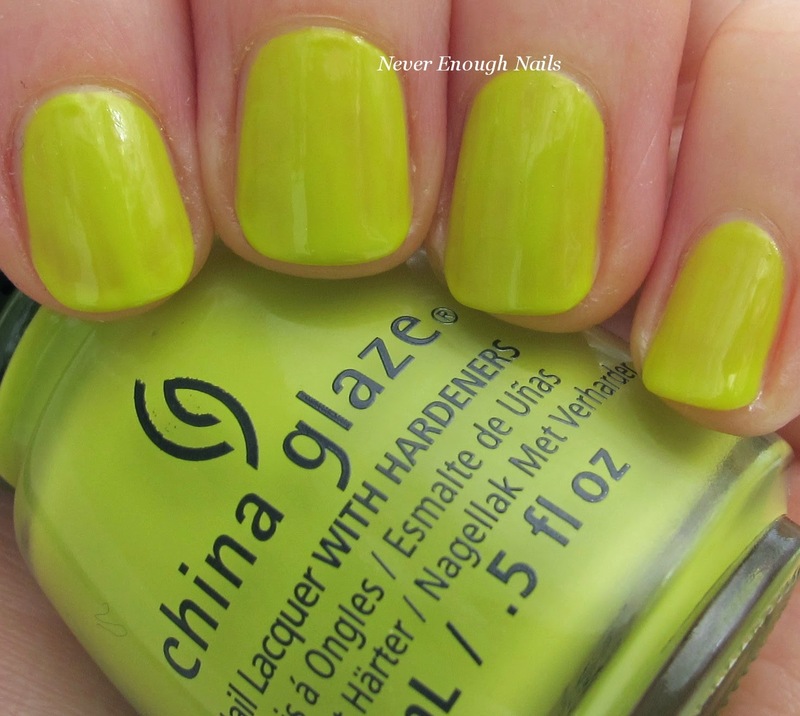 Never Enough Nails: China Glaze Road Trip for Spring 2015, My Picks Part 2! 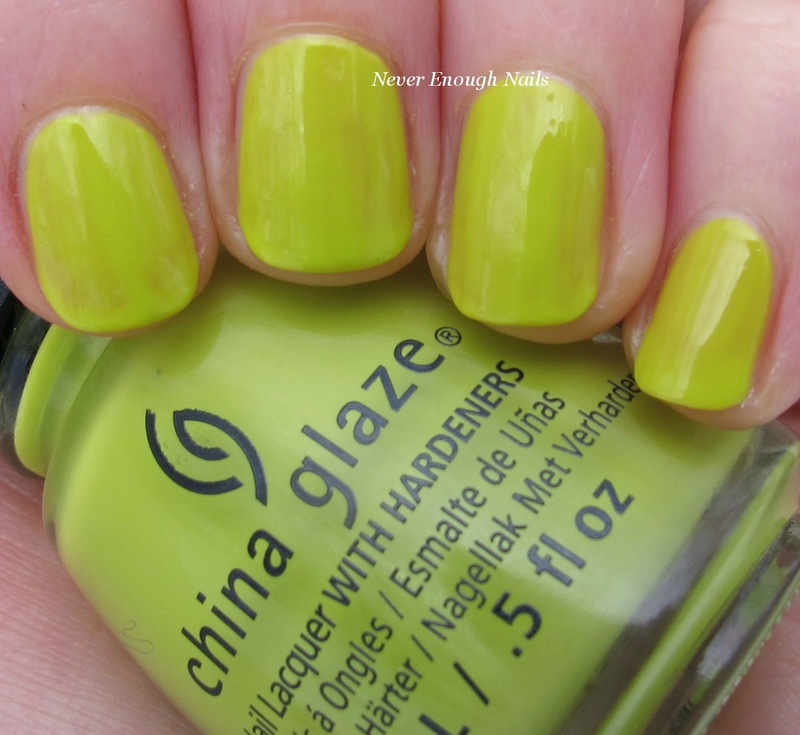 China Glaze Road Trip for Spring 2015, My Picks Part 2! Wow, I can't believe it's taken me so long to get back to posting! I think this might be the longest I have gone without a real blog post in my whole history of blogging! I got the flu and it was absolutely miserable. I could barely leave my bed for three days and even when I was able to leave my bed, I still had almost no energy for anything. But, I'm finally back today with the second half of my China Glaze Road Trip picks. 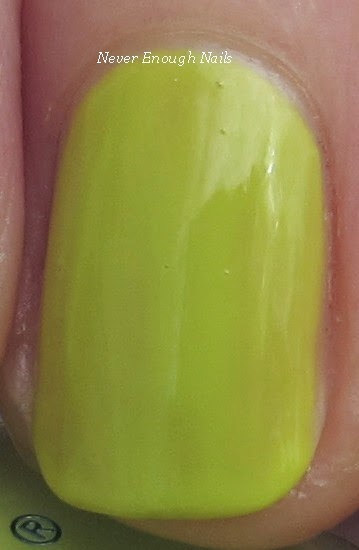 First up is China Glaze Trip of a Lime Time, a pea soup yellow-green creme. This is one of those weirdo greens that I love. It is pretty bright, so it kind of looks like radioactive pea soup haha. Trip of a Lime Time also has a murky quality to it, so it can look less bright in some lighting conditions. The formula was not my favorite. This seems to be the way of this collection for me, great colors, not great formula. It was thin and runny, like the others. This is three coats and it's definitely still streaky. You really have to be careful to wipe off the brush, or an avalanche of polish will rain down on your cuticles. 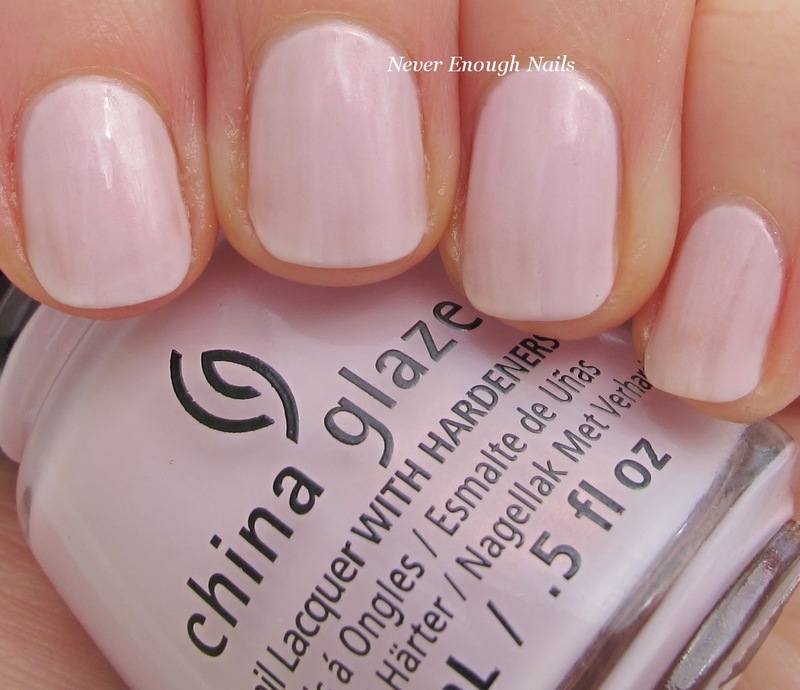 China Glaze Wanderlust is a pale whitened pink with hidden brighter pink shimmer. The shimmer is so subtle, it's actually more like a pearl, not really a full on shimmer. It was really not too noticeable on the nails. I had hoped for the shimmer to be more pronounced, as that would make a very cool polish. This is three coats and I still have some streaks. It was on the thin side, although I don't think this was the worst one of the bunch. It seemed to be a bit more manageable than a couple of the others. 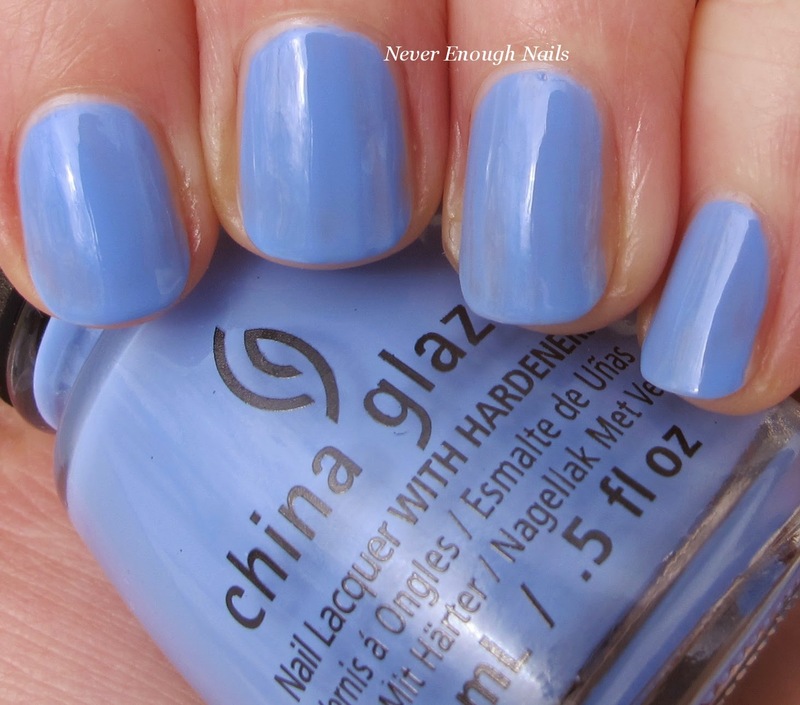 China Glaze Boho Blues is a beautiful cornflower blue creme. It's bright and saturated, but also looks a little bit soft. It's really a perfect blue for spring. 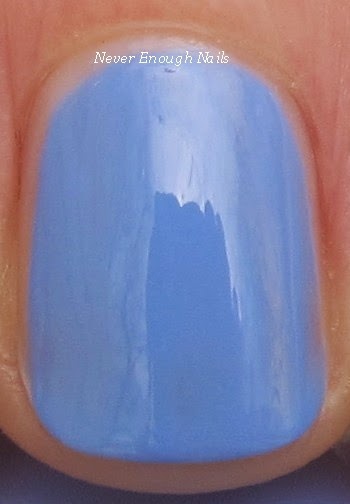 If you are a blue polish lover like myself, you will definitely want to bring this baby home with you! Boho Blues is a bit on the thin side, like the other polishes in this collection. I got some streaks on my ring nail, but the other nails were less streaky. This is three coats. Still not my favorite formula, but such a lovely color. Well, I won't lie to you. I am disappointed in the formulas of the six polishes I purchased from the China Glaze Road Trip collection. I was very excited about the colors and the pretty contrasting shimmer, but I wish China Glaze would step up their formula game. Other companies are really working on making their polish apply flawlessly in just two coats, and China Glaze seems to be falling behind in this respect. I do think there are some polishes from this collection that are worth the purchase if you truly love the colors and have a bit of patience. The China Glaze Road Trip collection is available now at Ulta stores and online at various sites. I purchased mine at head2toebeauty.com. I have so much swatching to do to make up for the time I lost when I was sick. 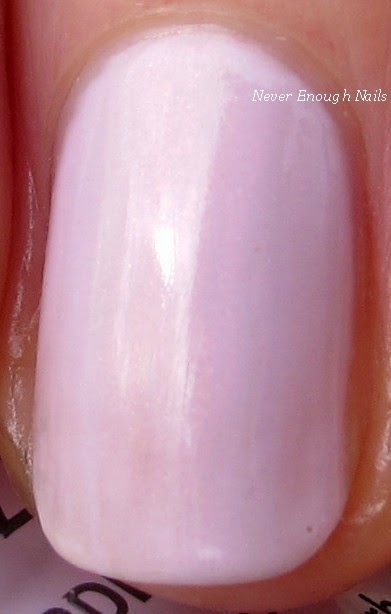 Please stay tuned for the Zoya Naturel Satins, Barielle spring 2015, OPI Hawaii, etc.!! Thanks Ananka! It was a rough few days and I didn't even do my nails the whole time!! ugh!